Can you smell the character development in the air tonight? It smells a lot like blood! We can’t not talk about Marcel and Klaus as the way their relationship evolved formed the meat of the episode. 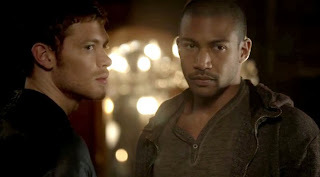 Long story short, Klaus opened his eyes and realized that this whole ruling thing would go a hell of a lot better with Marcel at his side as an equal. While watching the episode I was muttering that to myself and almost fell out of my chair when Klaus proposed it himself. 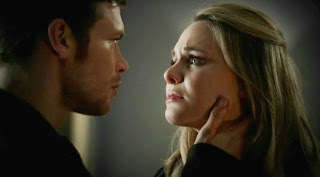 Klaus has never been someone who wants to rule in solitude, but as Elijah goes on to say in the episode he does make it very difficult for people to love him. But I have hope that this arrangement will last, if only because these two know each other in and out fairly well by now. I say fairly not fully because Marcel is apparently hiding a doozy of a secret that only Rebekah knows about that would apparently make Klaus drop him in an instant. It involves the opera house in 1919 and what I assume is the moment the Original family was chased out of town. Did Marcel have a hand in bringing their father to town? Is he hiding more reason why he let Klaus believe he’d died that night? I want, no, I demand more Marcel-centric flashbacks in the second half of the season. So far we’ve only seen him with Klaus and I want to see him without--to see him as the man who brought the city to where it is today. 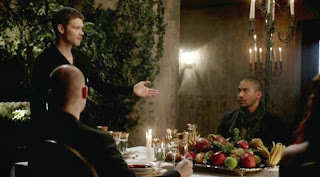 The other surprise element of the episode for Klaus involves werewolves, not just any werewolves but ones descended from his real father. I can’t help but wonder since we’re going down this road if we’ll discover he’s still alive. Who’s to say his mother didn’t also protect him the same night she protected her children? I feel like we wouldn’t bother to go down this road unless that’s the case, unless we want to see Klaus bond with his great-great-great-great-great-great-great-great nieces and nephews. Meanwhile, as the boys are teaming up and making amends with one another, it appears we’re developing a very unlikely and awesome girl power team as well. This team consists of Hayley, Devina, and Cami. 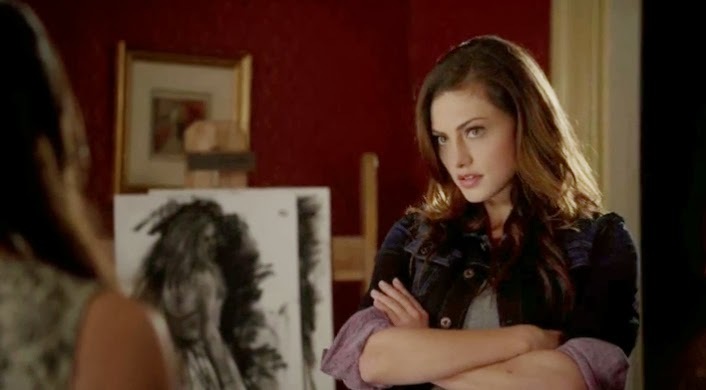 Honestly, who can blame Hayley for worrying about her self-preservation, when everyone only cares about the baby except Elijah? But Elijah’s track record for keeping women he cares about alive isn’t that fantastic. So I’m excited to see how Devina stabs a thorn in the side of Klaus, which she’s already starting to do by ridding Cami of all her compulsions at the end of the episode. Hell, I’m interested to see how the witches get back into play considering they’ve all been MIA the past several episodes to make way for Klaus and Marcel’s power struggle. On the romance front, Hayley and Cami both had almost kisses with separate Mikaelson brothers tonight, and that’s clearly something they’re going to be dragging out for a long time inspite of the fast paced storytelling happening all around them. And yet, I’m finding myself really enjoying the romantic relationships all around on the show, they all feel more adult than the mothership...plus they’re also far less triangular if you know what I mean. If you think Hayley is in a legit triangle with Klaus and Elijah, then I have this awesome bridge in Mystic Falls I can sell you. Just be warned the same chick keeps driving off it and ending up in the river.